ISTANBUL/SEOUL, Feb. 12 (Yonhap) -- A South Korean businessman was recently assaulted by a group of unidentified people in Istanbul, the largest city in Turkey, and sustained serious injuries, informed sources said Tuesday. The unidentified businessman works for the Istanbul branch office of a South Korean conglomerate, the sources said, noting his injuries were not life-threatening. 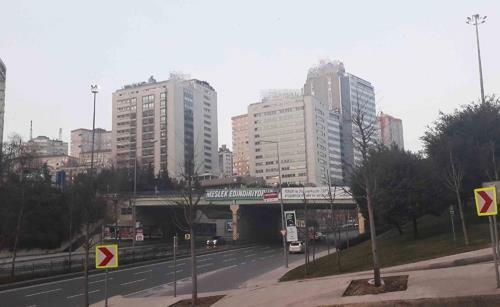 The incident, in which the Korean man was assaulted by unknown local people, occurred near his Istanbul office in the middle of January, they said. The perpetrators, who appeared to have waited in advance for the victim, fled immediately after the assault without touching his personal belongings, they added. The victim was treated for injuries, such as a broken nose, and was said to suffer from psychological shock. The perpetrators are still at large. Many South Korean residents in Turkey suspect that the assault may have been orchestrated by locals who were dissatisfied with transactions with the South Korean conglomerate. The South Korean Consulate General in Istanbul declined to comment on the incident, except saying it is sensitive in many respects and can affect bilateral relations. The consulate general also refused to speak on whether the Turkish authorities' investigation is focused on the possibility of business disputes. A ranking official at South Korea's Ministry of Foreign Affairs told reporters in Seoul that the government has asked the Turkish police to conduct a "swift and thorough" investigation into the assault case. The official made the remarks while saying the Istanbul incident occurred around 7:30 p.m. on Jan. 10. "The South Korean consulate general in Istanbul immediately visited the scene of the incident and visited a hospital where the victim was treated to offer consular service. In addition, the consul general strongly asked the Turkish police to try to arrest the perpetrators as soon as possible," the official said. Meanwhile, the South Korean conglomerate said it has taken measures to enhance the safety of its employees in Turkey after the assault last month.